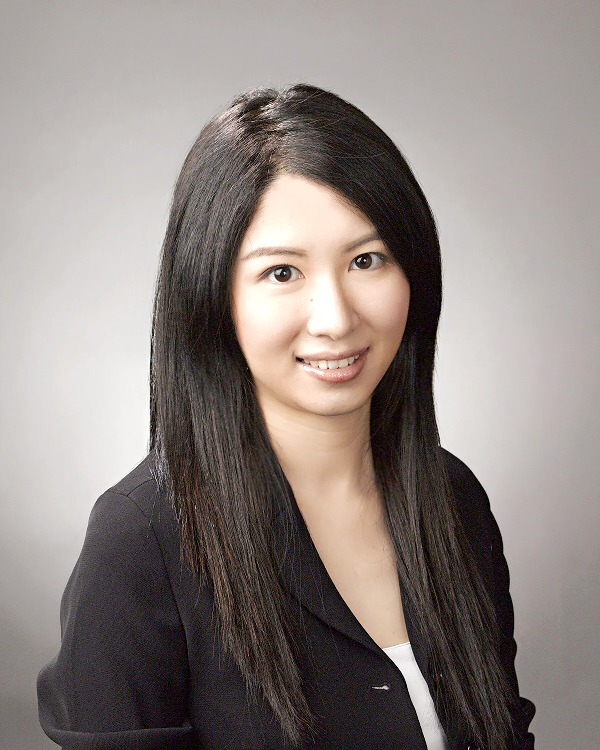 Chen Xi is a Foreign Lawyer in the Corporate and Capital Markets Practice Group of Rajah & Tann Singapore LLP. She is named as one of the Singapore's 40 most influential lawyers aged 40 by Singapore Business Review - recognised lawyers are highly commended for their success and leadership influence in handling complex issues for both corporate and public cases. She has rich experiences in private mergers and acquisition, foreign direct investment, cross-border joint ventures, and private equity investments, both in Singapore and China. She is based in Singapore and travels regularly between Singapore and China advising clients on a wide range of matters, including infrastructure projects, commercial, residential and industrial properties development, global restructuring, and corporate compliance. On the other hand, she also advises PRC investors on investment in Singapore and south east Asia. She is efficiently bilingual and is able to draft and negotiate legal documents and advise on legal issues in both Chinese and English. Chen Xi provides legal services to financial and investment institutions, private companies and SOEs from various industries. Her clients include among others: GIC, China Vanke, Mitsui & Co, Infineum International, DiDi Chuxing, Changi Airport International, Mediacorp MCN International, Jurong Port, China Life Insurance, China Taiping Insurance, Great Eastern Life Assurance, Zhong An Technologies International, Keppel Land International, CWT International Pte Ltd, Goochland Limited, SATs, Pudong Development Bank, China Merchants Bank, China Communication Construction Overseas Real Estate, Beijing Capital Group Co., Ltd, CNQC International Holdings Limited, Macquarie MEAG Prime Real Estate Investment Trust, Singbridge, Luye Group, OUE Lippo Healthcare Limited, Shagang Group, China Steel Group, Lu Shang Group, Fullshare, National Healthcare Group, Zall Smart Commerce Group, China Aviation Oil, Singapore Technologies Engineering, and National University of Singapore. Acted for RECO Joyrepo in respect of investment of the parallel cross-border funds which are set up by RECO Joyrepo, Bright Motion (a subsidiary of Joy City Property Limited, COFCO) and a third party investor for the purpose of upgrading and redeveloping commercial projects or mixed-use projects with the flagship of "Joy City". The total initial investment size of onshore and offshore funds is approximately RMB11.4billion (US$1.65billion). Acted for GIC, Singapore's sovereign wealth fund, for its partnering with NOVA, a fully-integrated operator and investment manager headquartered in Shanghai and co-founded by Warburg Pincus, to establish a RMB4.3billion (US$675million) rental apartment platform in China. Acted in Fullshare Holdings Limited's S$725 million (US$528million) acquisition of the entire issued and paid up share capital in Plaza Ventures Pte Ltd, which is the registered owner and developer of the development project known as GSH Plaza, a recently completed Grade A office building situated in the CBD of Singapore with over 295,000 square feet of office and retail space. Fullshare is a company listed on Hong Kong Stock Exchange. Acted for China Vanke, a leading residential real estate developer in the People's Republic of China, listed both on the Shenzhen Stock Exchange and Hong Kong Stock Exchange in its joint venture with a local partner and in its subsidiary's acquisition of a 7.4-acre prime tract of land from a liquidator for a value of approximately RM 500 million (US$122million). Acted for Singapore investor to set up platform with SZITIC Commercial Property Group (SCPG) in respect of acquisition and development of two high-end commercial complexes in Shanghai, PRC. Provide legal services to AsiaMedic Limited, which is listed on the Catalist of SGX-ST, in respect of its proposed acquisition of LuyeEllium Healthcare Co., Ltd., which provides management and consultancy services to hospitals in South Korea and PRC, for S$42.2 million. Provided legal services for HL Global Enterprises Limited ("HLGE"), a company listed on the Main Board of SGX-ST, in its disposal of 100% of the issued shares in the capital of LKN Investment International Pte. Ltd. ("LKNII") with underlying properties in Shanghai and Shandong, PRC to Natural Apex Limited, a wholly-owned subsidiary of Jingrui Holdings Limited (a company listed on Hong Kong Stock Exchange). The disposal by HLGE constituted a "major transaction" under the SGX-ST listing rules and was subject to HLGE shareholders' approval. Advised Singapore investors in respect of various projects of commercial and residential property development, investment and joint ventures in Shanghai, Beijing, Suzhou, Nanjing, Wuxi, Xi'an, Wuhan, Chengdu, Dalian, Ningbo, Qingdao, Guangzhou, Foshan, Shenyang and various other cities in PRC. Advised foreign investors in respect of various projects of commercial and residential property development and joint venture with Yanlord (a top tier property developer) in Shanghai, Suzhou, Nanjing, Chengdu and various other cities in PRC. Advised foreign investors in respect of various projects of commercial and residential property development and joint venture with Vanke (a top tier property developer) in Guangzhou, Foshan, Wuxi, Shenyang, Chengdu, Dalian, Qingdao, Ningbo and various other cities in PRC. Advised foreign investor in respect of joint venture with Chongbang (Hong Kong developer) to carry out lifestyle township development in Shanghai. Advised Keppel Land International Limited in acquisition of land and development of real estates in PRC. Advised Guocoland Limited in respect of its real property development in Nanjing, PRC. Advised Mediacorp MCN International Pte Ltd on setting up foreign-invested enterprises in PRC to conduct broadcasting, event management and media-related business. Acted for Macquarie MEAG Prime RealEstate International Trust on Real Estate Investment Trusts. Acted for foreign bank in respect of acquisition of commercial building in Pudong, Shanghai, PRC. Acted for foreign investor in respect of disposal of its local property project in Wuhan, PRC. Acted for foreign investor for the development and construction of Eco Sports Park in Yanhu Yuncheng, PRC. Acted for foreign investors in conversion and acquisition of military land in PRC. Advised foreign investors on purchase of office buildings and other real properties in PRC. Advised foreign investors on the leasing of offices, industrial land, manufacturing factories and commercial properties in PRC. Advised Changi Airport International on regional airports development project in PRC. Advised Jurong Port Pte Ltd on the joint venture port project in Shandong, PRC. Advised Jurong Port Pte Ltd on the joint venture port project in Hainan, PRC. Advised National Healthcare Group Pte Ltd on setting up and managing medical centers, joint venture hospital and clinic in PRC. Advised Singapore investment fund on investment in PRC domestic private passenger airline carrier. Advised Beijing Capital Group on its investment and acquisition in Singapore. Advised Shagang Group in Singapore. Advised China Life Group on its investment in Singapore. Advised Pudong Development Bank on the establishment and operation of its branch in Singapore. Advised China Merchant Bank on its operation in Singapore. Advised China Railway Asia Pacific Group on its overseas investment and M&A. Advised Walvax Pharmaceutical on its investment in Singapore. Advised Rong Sheng Group on its investment in Singapore. Advised Sanhua Group on its overseas investment. Advised Shandong High-speed Group on its investment and M&A in Singapore. Advised Keppel Telecommunication & Transportation Ltd in respect of its acquisition of logistics companies and setting up logistics park in PRC. Advised Singapore investor on the acquisition of a waste-to-energy plant in Guangzhou, PRC. Advised Singapore investor on the acquisition of waste-to-energy projects in Shenyang and Donguan, PRC. Advised Joye International Co. Limited in construction, development, and concession of Water Canal Project in PRC. Acted for Richland Group Limited in setting up logistics and supply chain management joint venture in PRC. Advised foreign fund in respect of acquisition of small loan companies, micro-funding companies and guarantee companies in China. Advised Singapore leading funds on investment in telecommunication and voice over internet protocol (VOIP) business in PRC. Advised foreign investor on acquiring a PRC waste-water-treatment group. Acted for foreign fund in acquisition of a leading on-line magazine company in PRC. Acted for a Singapore listed company in acquisition of a PRC software group company from PRC perspective. Advised foreign fund investors on investment in new energy manufacturing business in PRC. Advised foreign fund investors on pre-IPO investment in PRC cement industry. Advised foreign venture capital on investment in internet money transfer and remittance business in PRC. Advised ACI Worldwide Pte Ltd on the establishment of wholly foreign-owned enterprise to carry out development, licensing, installation, implementation, maintenance, sales and distribution of software and solutions in PRC. Advised foreign investors on investment in education business in PRC. Advised CWT International Pte Ltd in respect of disposal of its equity interests in its subsidiary in Tianjin, China. Advised Raffles Hotels & Resorts in the development of hotel business in PRC. Advised in the equity restructuring exercise of China Aviation Oil Corp Ltd. Advised Great Eastern Life Assurance Co Ltd on employment issues. Advised Cameron on its operation in China. Provides advices on compliance and filing requirement for general corporate matters for Cameron (Singapore) Pte. Ltd in respect of its subsidiaries in China. Provides advice on compliance and labour-related contracts in China for United Arab Shipping company. Advises Singapore Technologies Engineering Ltd in respect of its Whistle-blowing policy, fraud risk management policy, conflict of interest policy, staff mandatory leave policy, gift and entertainment policy, policies and code of business conduct and ethics in PRC. Advised on securities laws in respect of offering shares to employees in China for Beca Asia Holdings Pte Ltd. Advised on labour-related issues in China for Beca Group Limited. Advised Friven & Co. Ltd on provision of convertible loans to companies. Advised a PRC SOE in a EPC contract dispute in Indonesia.